Thanks to everyone who entered our art contest 2018! This juried art contest offers 1st and 2nd place prizes in “Top of the Tako” Drawing Art Contest. Participants must be 13 years of age or older by February 14th, 2018 in order to participate. Finalists: Selected works will be chosen to be posted on the wall at Otafuku x Medetai store at 220 East 9th Street New York, NY 10003 on February 21st, 2018. Artwork may also appear on the Otafuku x Medetai website and social media sites. 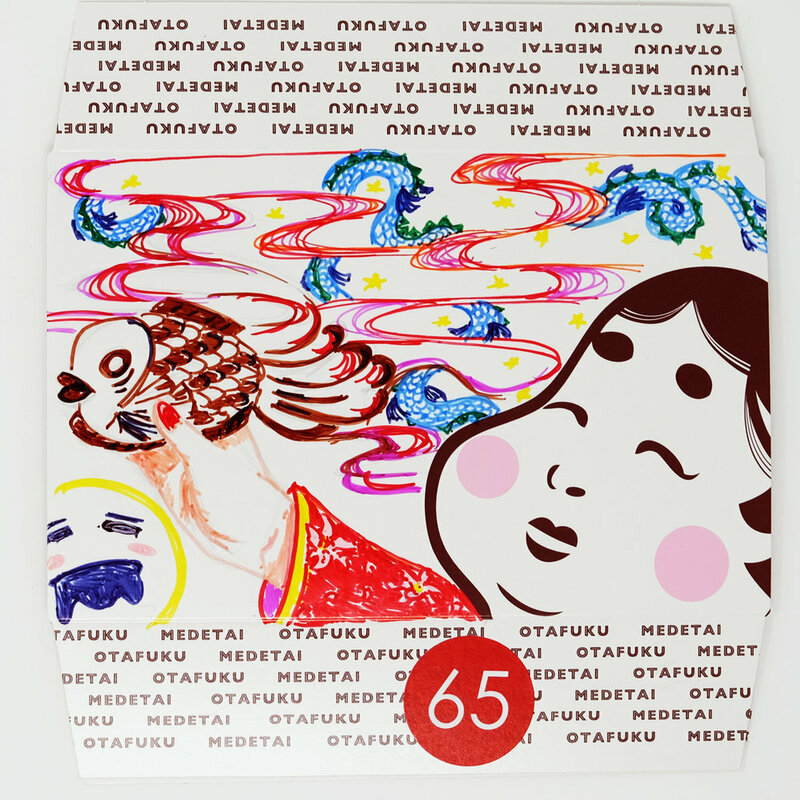 Original art on the front of provided takoyaki container top with the Otafuku logo (face of the goddess of mirth). On the back of the container top with your artworks, write your full name, contact email, (optional Instagram handle), and date of submission. By filling out the form, entrant confirms to have read this page of rules and guidelines. Submit only original artwork that has been created by you, the artist, as identified on the back of the artwork; no part of any artistic rendering that is submitted can be copied or adapted from another source. All artwork can be rendered in a variety of media such as acrylic, oil, watercolor, pastel, pencil, charcoal, or mixed media but may not be discriminatory or offensive in any way. All winning entries will become the property of Otafuku x Medetai. 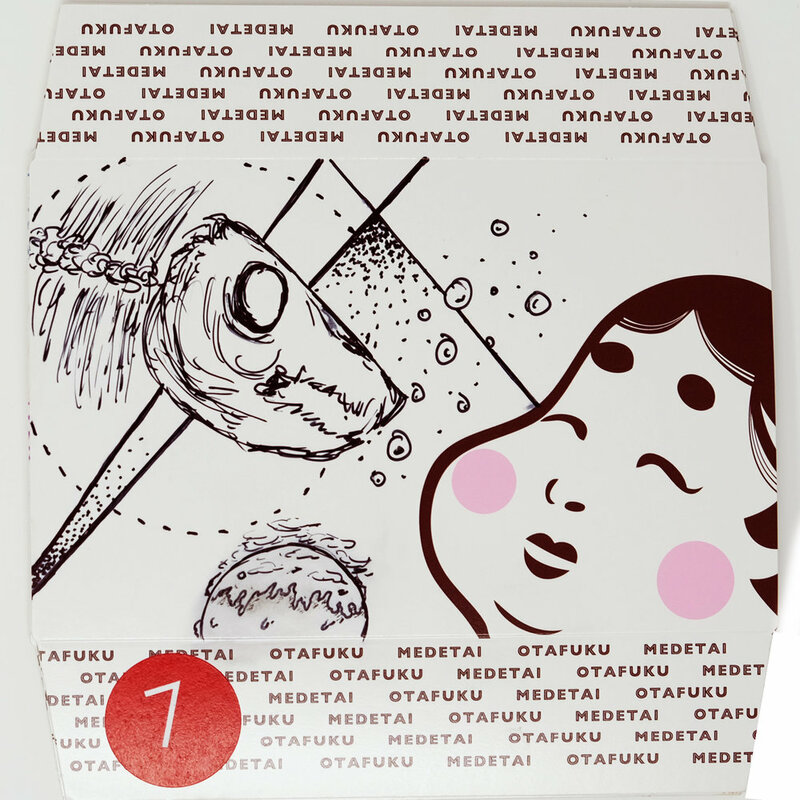 A maximum of 1 entry per contestant is allowed for the contest—purchase at least one (1) item at Otafuku x Medetai at 220 East 9th Street New York, NY 10003 to receive one (1) takoyaki container top for contestant to draw and submit artwork. February 20th, 2018, 10:00 p.m. EST Submit takoyaki container top with the back filled out entrant’s full name, contact email, (optional Instagram handle), and date of submission. Participants, age 13-17, must include a parent or guardian’s signature. 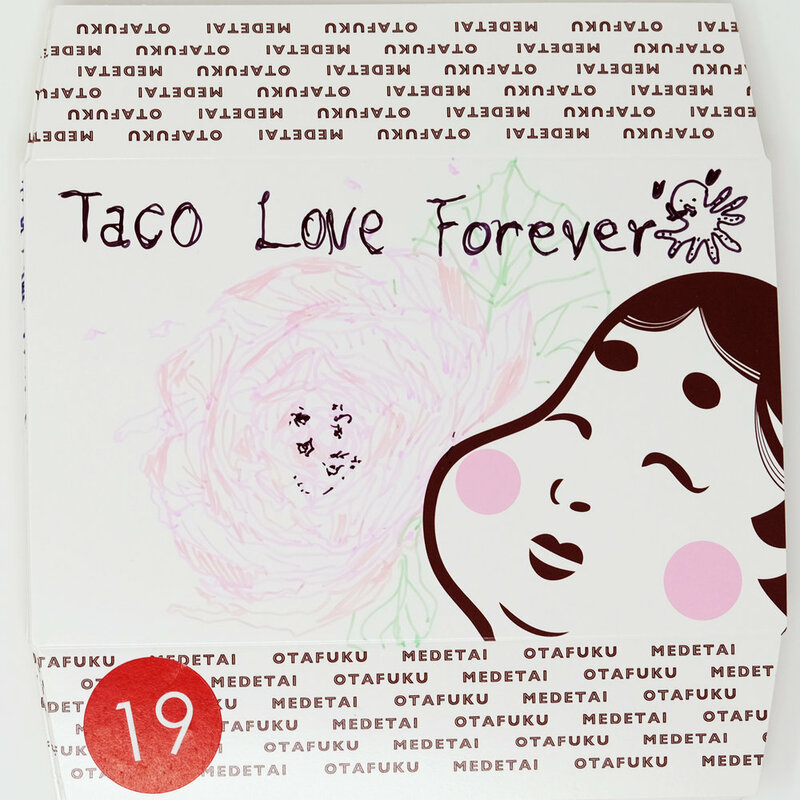 Entry information on back of takoyaki container top must be legibly completed and turned in with the artwork. Submissions will be judged on artistic merit and/or creativity. 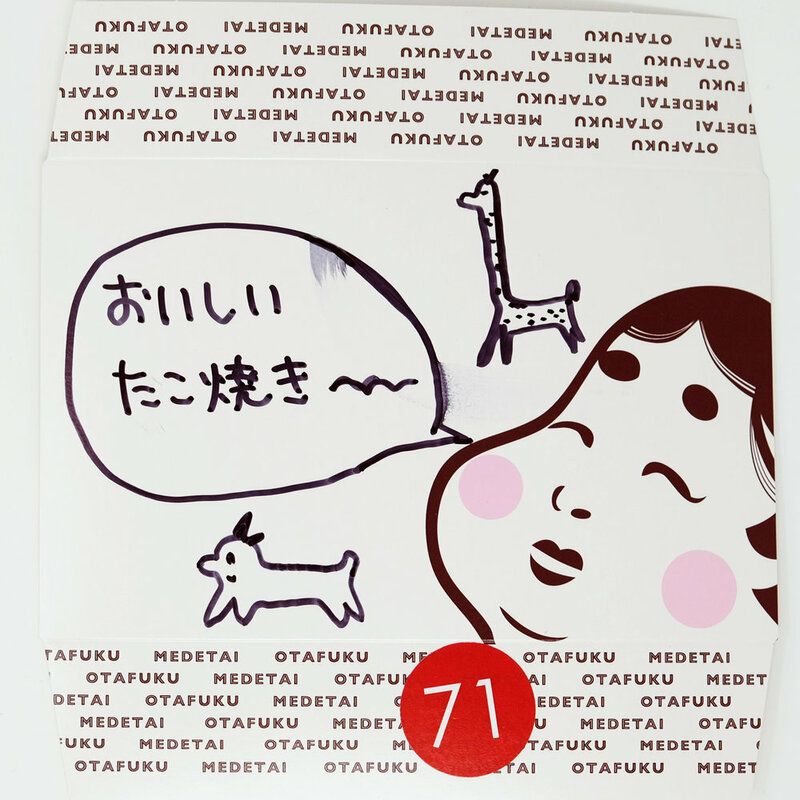 For the “Most Votes Prize”, the votes will be counted by Otafuku x Medetai Staff Team. Voting will take place between February 21st, 2018 to February 27th, 2018. 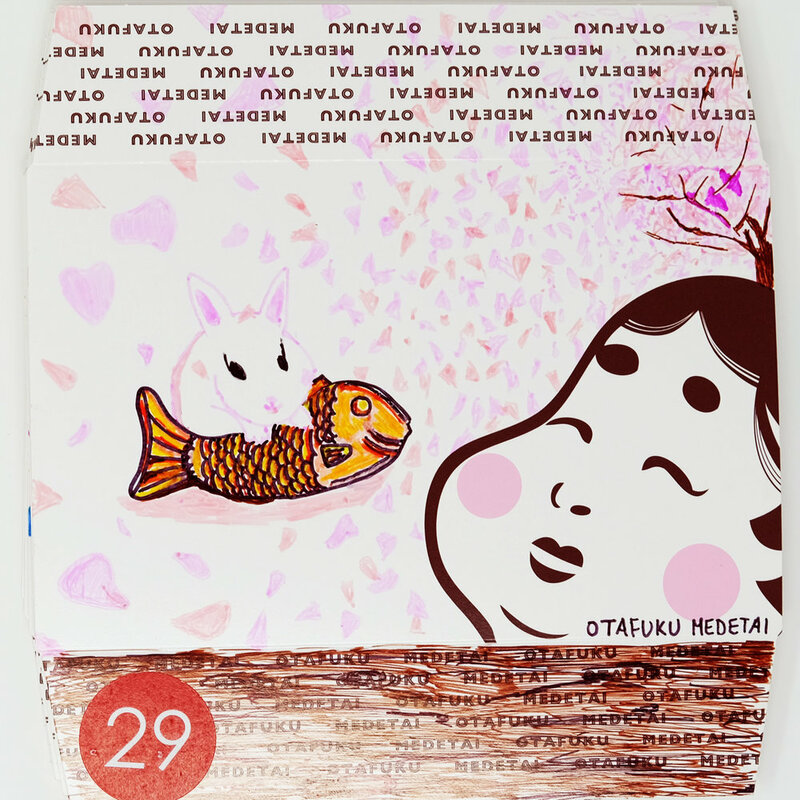 Any customer at Otafuku x Medetai who purchases any item between February 21st, 2018 to February 27th, 2018 will be given a vote. The receipt of the purchase will be the voting ticket and the customer will choose one (1) favorite artwork for the artwork on the walls. For the “Staff Favorite Prize”, each Otafuku x Medetai staff will have one vote and the votes will be tallied to determine a “Staff Favorite”. Winners will be announced on the Otafuku x Medetai website and on the Otafuku x Medetai Instagram page on February 28th, 2018 and will be contacted via email by February 28th, 2018.